We will probably see the end of banks and I am not arguing from a cryptoanarchist perspective here, but from a purely market - game theoretical perspective. On the one hand the financial crisis in 2008 caused a massive erode of the trust of the banks and increased the regulatory attention and administration. On the other hand due to fintech and decentralized technologies new and competing segments appearing that cannibalize directly the business of the financial institutes. On a long run, it means that due to the increased competition the banks will have to provide services cheaper and cheaper meaning probably cost cut for the first run the personal. However that also mean that they can offer less and less quality services, that is pretty much dramatic as it will very stark further erode the trust and provide the competitive benefit to the competitor fintech - decentralized segment. 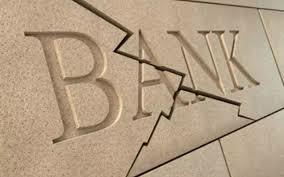 The situation implies on a long run a new equilibrium on the market without the existing banking institutes. Probably the banking institutes will be replaced by decentralized infrastructures for value transfer.